As everyone knows that reads this blog knows, I love running. As everyone that has a pulse knows, I love Disney…so it’s pretty darn cool that there runDisney is around for me to put these two together! 2011 has been a great year for me – I ran both the Walt Disney World and Disneyland Half Marathons and earned the Coast-to-Coast Medal, too! Words cannot describe the feeling of accomplishing a goal that seemed so unattainable just a year before! I remember planning to sign up for Disneyland only, reasoning that a year would be a good amount of time to build up – after all, a year ago, the longest I had raced was a 10K! 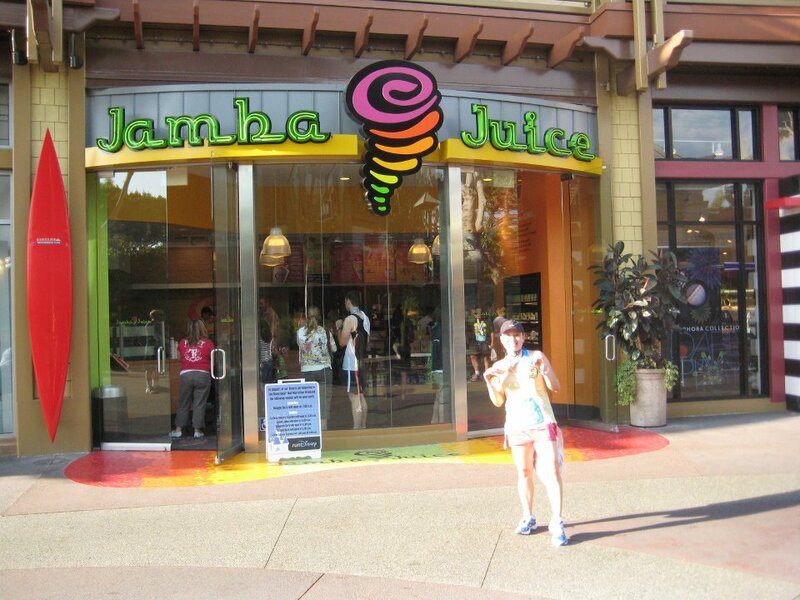 Sometimes you really can surprise yourself – because as magical as a Disney can make those miles zip by, it does take a fair amount of legwork, too! Up until now, the ONLY (and I mean ONLY) regret or not so pixie-dusted thought I had about the whole experience is that I had moments where I felt selfish. Saying it out loud typing it here – it sounds kind of silly, but I have felt that this new pasttime of mine has been ‘me-centered.’ Sure, hubs has tennis and nerdy computer-related hobbies, but running really could be something we could do TOGETHER…I mean, I couldn’t expect him to up and decide to run a half marathon with me…but, what about half of the half? Okay, to be technical…4.8 of 13.1 – but who cares about technicalities?! 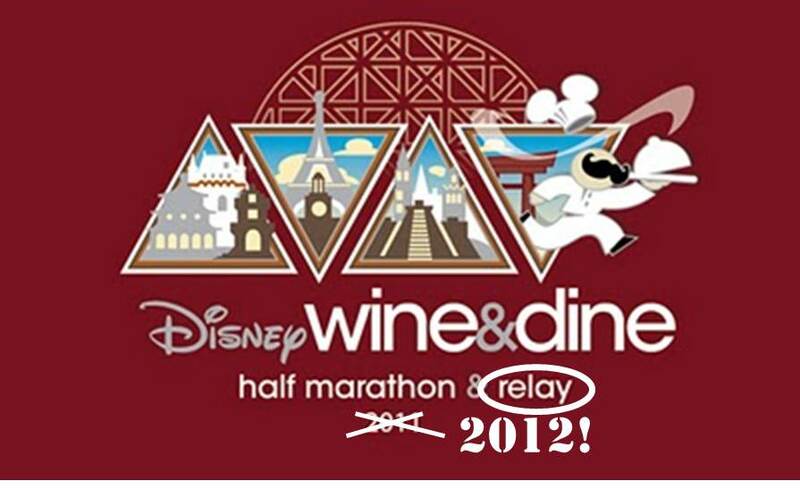 HUBS HAS AGREED TO RUN THE WINE AND DINE HALF MARATHON RELAY WITH ME NEXT FALL! Um, did you catch the title: Wine and Dine? Those sound like pretty good reasons to me! And of course: RUNNING WITH MY HUBBY! Again, minor technicality – he will be running first, then I will finish the 8.3 but I digress – we’re gonna be on a running team and we are going to have a BLAST. ANNNNDDD there’s nothing like planning another trip to see Mickey and his friends! What fun things do you do with your SO? Any bucket-list items on YOUR horizon? YAY!!!! HUBS!!!! I wanna run toooooo! Go Eric/Brad! I’m excited to hear about his training. I love running with my hubby. And we LOVE Epcot. The Wine & Dine is on my list of races I really want to do. Yay for talking your husband into going. 😀 I am SOOOO beyond stoked!! Thanks for the well wishes!! Awesome! Running with that person in your life is pretty fun! Especially in relays… you really feel like you’re part of a team. FUN!!!! I am running W&D next year also, with some friends – girl trip! Nice! Hope there’s a meet up!!! yay! congrats! a relay would be the only way i could run “with” my Hubs. he’s too fast for me for us to run side by side (at least without him getting bored). one thing i’ve always wanted to do was visit DC during the cherry blossom festival. and visit the air & space portion of the smithsonian. and both of those are on our horizon for next spring! WAHOOO!! !